Explore new routes on the Eppynt range and visit three different towns and villages. We all look forward to welcoming you on The Eppynt Explorer Trail. 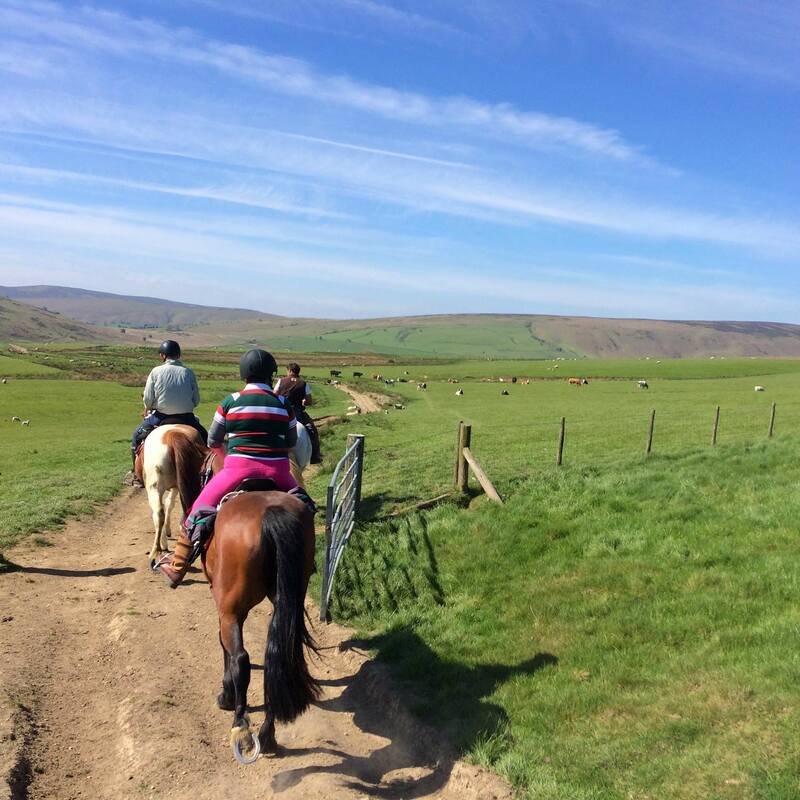 The Eppynt Explorer is a four day trail ride staying overnight at the Old Mill or Wye Knot Stop B&B, the Llanelwedd Arms, Cedars or Bronwye B&B in Builth Wells and the Red Lion Inn/Fforest Inn. The trail explores the upper reaches of the Wye Valley and the eastern side of the Eppynt Mountains. It is four long days in the saddle of 16-18 miles in length. 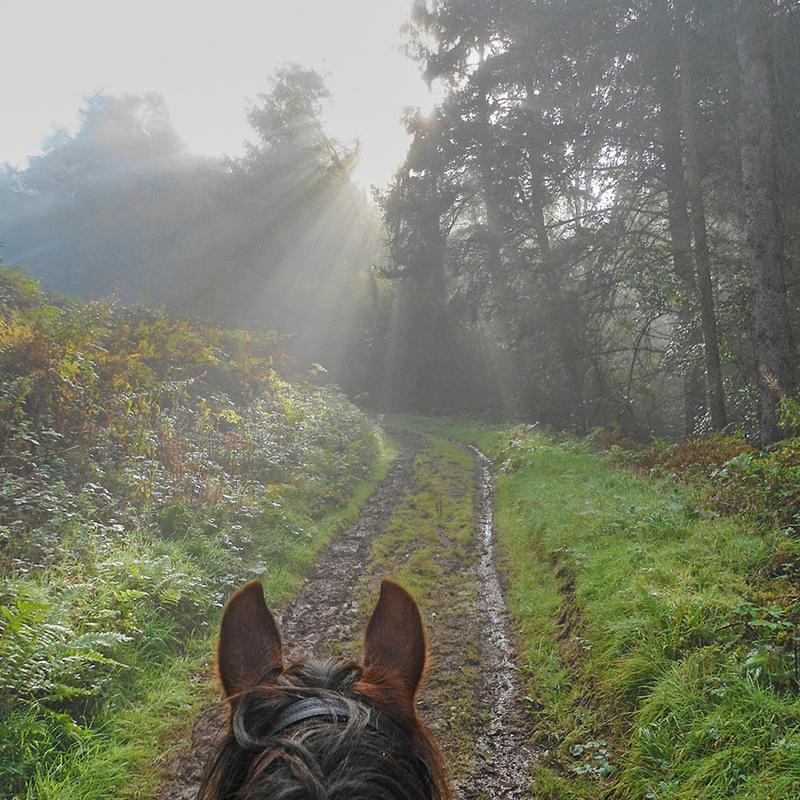 Unlike nearly all other trails from Freerein HQ this trail heads directly south west rather than north onto the Begwns. This allows easy access to the banks of the River Wye which this trail follows upstream for a number of miles. These flat fields offer great canter opportunities and completely different scenery to other trails. Please note that there is an unavoidable 1 mile section of main road necessary to join the trail along the Wye, however it is straight with wide grass verges. Your trail brings you down into Llyswen where you will find Wye Knot Stop B&B. For those heading on to the Old Mill, head up onto the beautiful but seldom explored areas of Brechfa and Llandyfalle Hills offering the green rolling, open hills that are the more familiar terrain of Freereiners. After swinging south the trail leads you to the small village of Felin Fach and The Old Mill. Here you have a choice of two inns to eat at both just 50 yards from the Old Mill. Refreshed and refueled, day two finds you skirting around the edge the Eppynt on remote open hills and forestry before descending down to the River Wye. 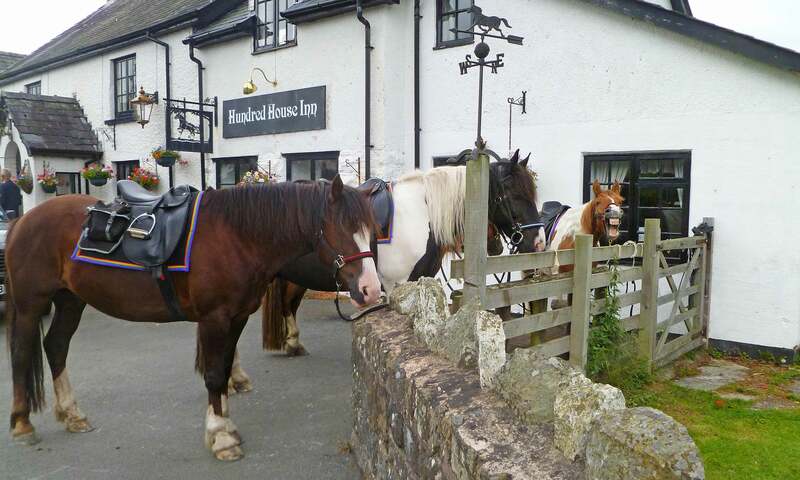 Here you stay the evening in Builth Wells at the Llanelwedd Arms or Bronwye B&B while the horses graze peacefully on the outskirts of town. Please note that there are often large events on in Builth Wells so the Eppynt Explorer trail is not always available on weekends. The third day starts with a small amount of main road before a steep climb onto Aberedw Hill and stunning views back over the Eppynt and Builth Wells. There is an option to pop down to the Hundred House Inn at Hundred house for lunch before heading over to the Red Lion Inn or the Fforest Inn, your final night’s stop. Choice of return routes for the final day back to Freerein HQ. Arrive at Freerein at 9am. Meet your steeds have a good study of your personalised route pack and head out on trail. Stay overnight at The Old Mill B&B with a choice of evening eateries. On trail to Builth Wells, Packed Lunch. Out all day to Red Lion or the Fforest Inn. Option to stop at Hundred House for lunch. Out all day returning to Freerein HQ. Option to stop at Roast Ox Inn for lunch. I loved every minute and recommend this to anyone who loves long days in the saddle . . .